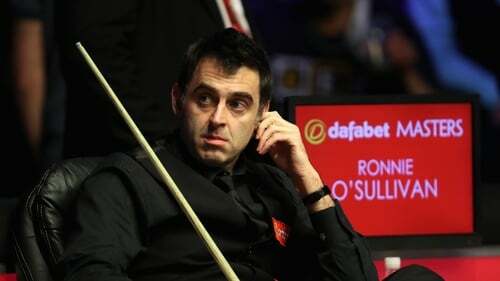 Ronnie O'Sullivan let his snooker do the talking again with a 4-0 victory over Soheil Vahedi to move into the second round of the Northern Ireland Open in Belfast. O'Sullivan had earlier suggested World Snooker chairman Barry Hearn was running a "dictatorship" during a series of posts on Twitter in another attack on the sport's current set-up. Hearn, replying to another user, later wrote: "When the game was dead or dying there was no comment from certain leading players who effectively owned the sport. Now we are flying in comparison and Ronnie becomes a critic of the system that saved the sport." When back on the table at the Belfast Waterfront, O'Sullivan picked up from where he left off when lifting the Champion of Champions title in Coventry on Sunday as he delivered three consecutive centuries to sweep past Iranian Vahedi. Marco Fu is out, the Hong Kong player beaten 4-2 by Chen Feilong of China, while Scotland's Alan McManus defeated Allan Taylor 4-0 and Thai Thepchaiya Un-Nooh eased past Robert Milkins by the same scoreline, as did Jack Lisowski in his comfortable victory over Hossein Vafaei of Iran. However, Ireland's Ken Doherty and Shaun Murphy, the world number 10, suffered first-round defeats to Scott Donaldson and Sam Baird respectively. In Tuesday's early matches, England's Andrew Higginson was handed a walkover against China's Liang Wenbo, while David Gilbert beat Irishman Fergal O'Brien 4-1. Mark King, Robbie Williams, Scotland's Chris Totten, Lu Ning of China and Welshman Kishan Hirani were also among those to progress.